June 27: Lucia Cadotsch, Otis Sandsjö & Petter Eldh – Sound It Out! Encore performance from Berlin! 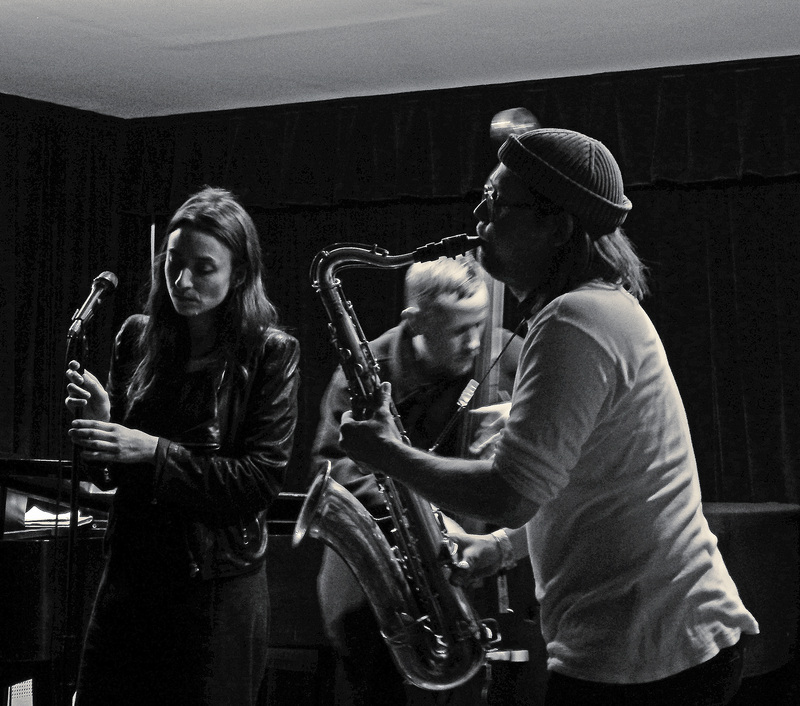 The trio of new-era songbird Lucia Cadotsch, saxophonist Otis Sandsjö & bassist Petter Eldh – a group that reanimates jazz standards like no one else – returns to the Sound It Out after a fantastic performance in the series this past January. Reviewing the group’s debut album, Speak Low (Yellow Bird/Enja), The Guardian aptly declared: “Remember the name Lucia Cadotsch – you’re going to be hearing a lot of it.” The Guardian review continued: “Cadotsch is a young, Zurich-born vocalist who possesses a classical clarity, a folk singer’s simplicity and an appetite for performing very famous songs (‘Moon River,’ ‘Don’t Explain,’ ‘Strange Fruit’) in the company of two edgy free-jazz instrumentalists, who flank her sedate progress with split-note sax sounds and spiky basslines with percussive strumming. In this compelling trio’s hands, the process is remarkably melodious and illuminating… It’s all eerily beautiful.” Lucia won the 2017 Echo Jazz Prize – the German equivalent of a Grammy Award – for Best Vocalist of the Year for Speak Low. She and her Swedish friends Otis and Petter bring the bittersweet repertoire of Billie Holiday, Nina Simone, Abbey Lincoln and Dinah Washington – not to mention Kurt Weill & Bertolt Brecht – vividly alive for a new generation of listeners.